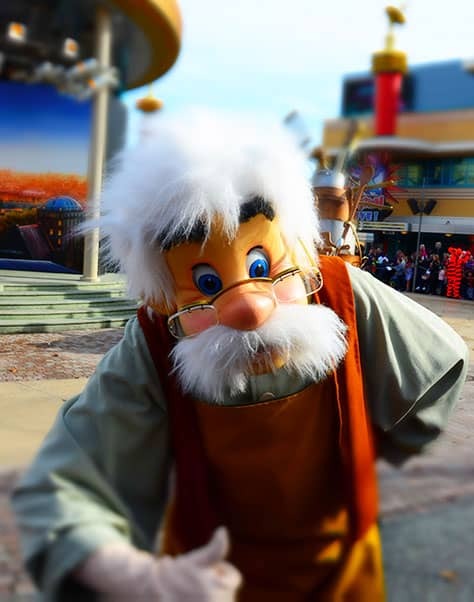 In October 2014 I had the opportunity to fulfill a dream and visit Disneyland Paris with my friend and guide EuroRob. 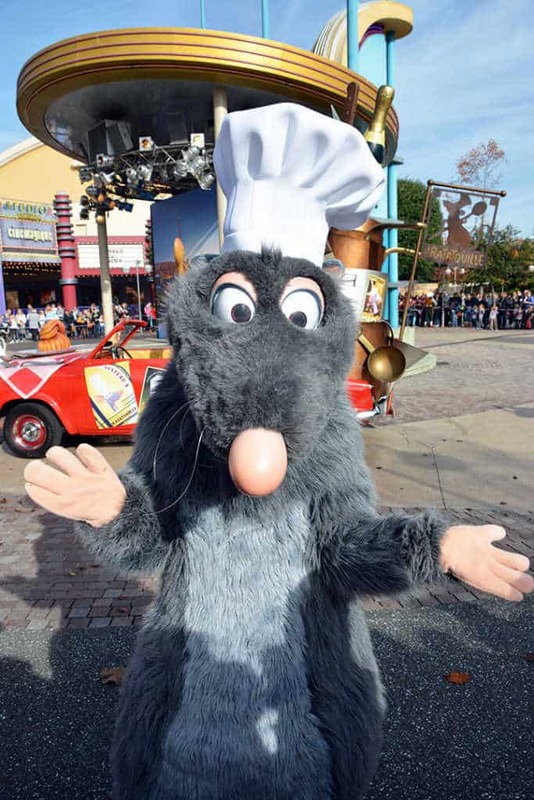 One of the things that was high on my list was to attempt to meet Remy from Ratatouille. 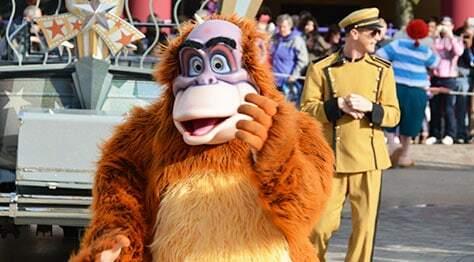 I knew he appeared at the Stars n Cars Meet n Greet in front of Cinemagique, but Rob let me know it would be a crazy, chaotic experience. People form a huge circle and wait for the mini-parade/meet n greet to begin. 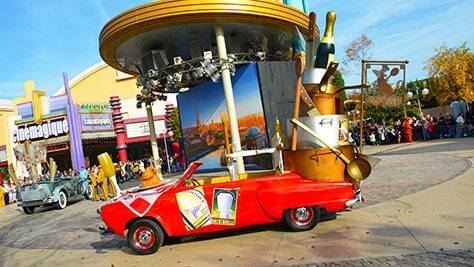 The weekly Disneyland Paris Programme will let you know if this continues during your scheduled visit. There were 3 meets on my date. 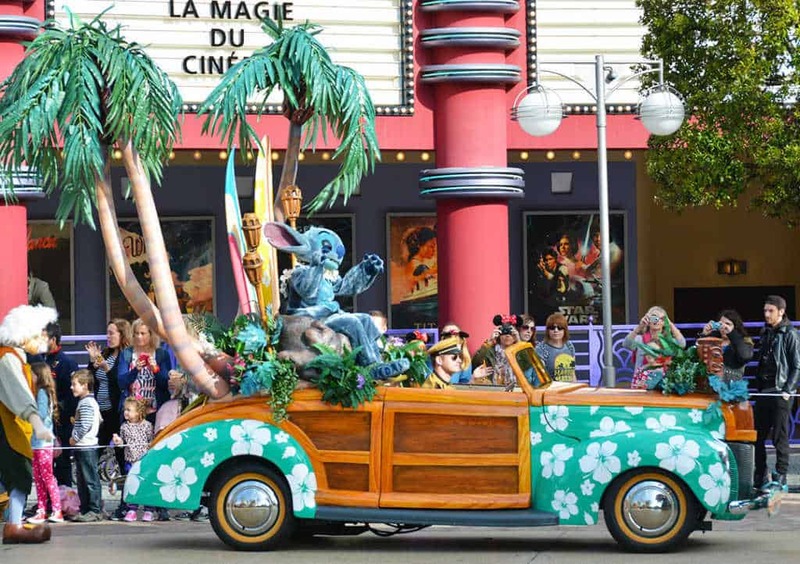 You’ll notice that the cars are the same ones that were used many years ago at the Stars and Motorcars Parade at Hollywood Studios for several years. 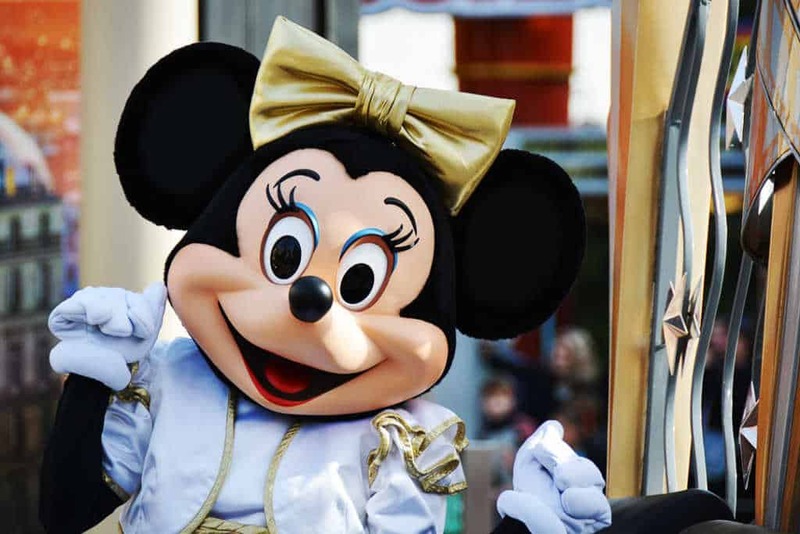 Minnie led the processional in her adorable white and gold starlet outfit. Other characters then march behind. 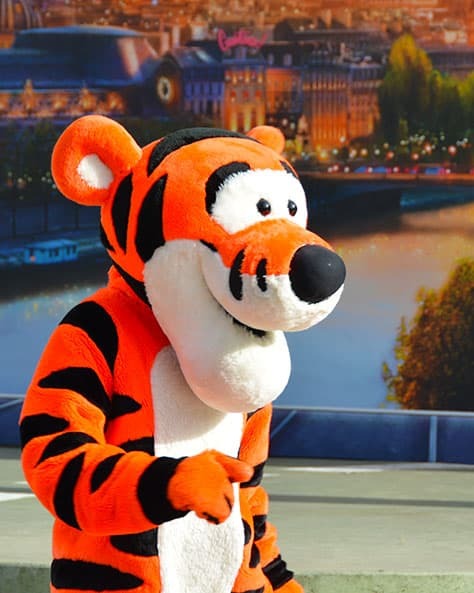 Here we see Tigger in the first meet n greet. The characters may vary from one set to another. This photo makes it seem quite peaceful. 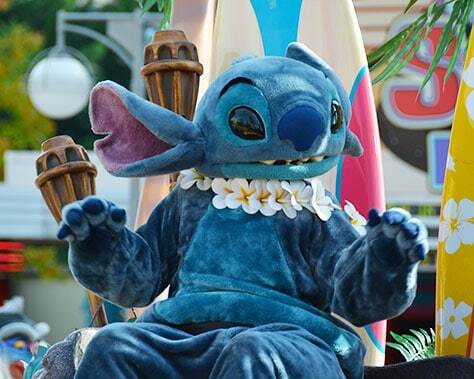 It appears that the guests are all patiently waiting for their favorite character to drop by. That couldn’t be farther from the truth. This was one of the most difficult meet n greets I’ve experienced. People are constantly pushing their way to the front, attempting to hand their autograph books over your shoulders or head. Encouraging their kid to cut in front of you. You really have to stand your ground or you’ll end up in the back in a few seconds. The characters decide where to begin each set and it’s very random. 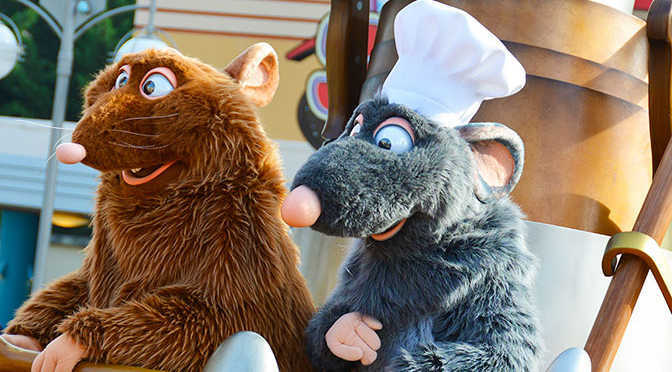 The recent safety change to Character Palooza at Hollywood Studios was almost humorous compared to this and the villains experiences I had in Paris. I’ve never seen anything in a Disney Park like the Villains meet during the Halloween Soiree. 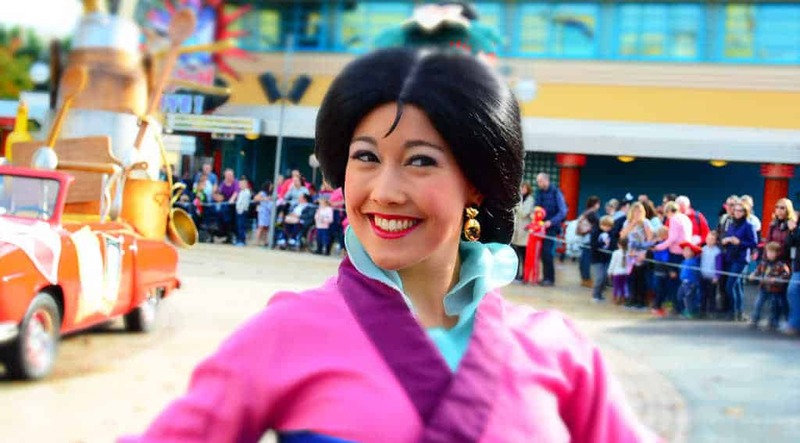 Mulan began her meet pretty close to us and most guests wanted Remy, Emile or Minnie, so there wasn’t much of a crush to meet her. She was lovely and kind and signed everyone’s books and posed for photos. 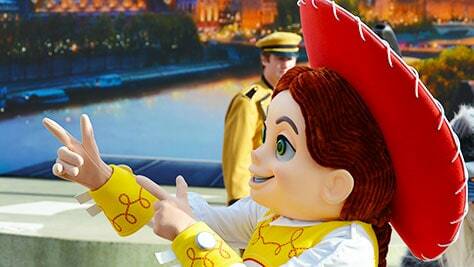 You stand behind a rope, so getting photos with characters is cumbersome to say the least. Gepetto was the other character we met in the first set. Yup, 2, we met 2 characters in the first set. Remy’s car was parked very near us, so we hoped he’d stop by to visit, but I bet he didn’t move 15 feet during each set. There were hundreds of people who wanted nothing more than to have him write his name in their books. He’s a real star in Paris. Emile is a pretty big star too! Emile began on the opposite side, so we knew we’d not meet him. 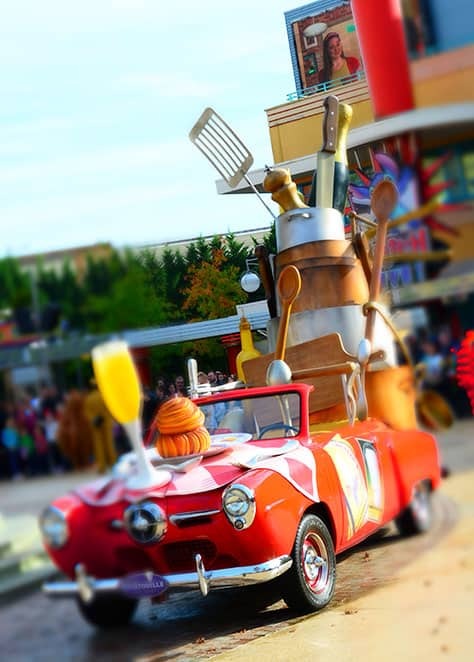 Here’s some photos of the Ratatouille themed car. I think that is supposed to be Ratatouille??? 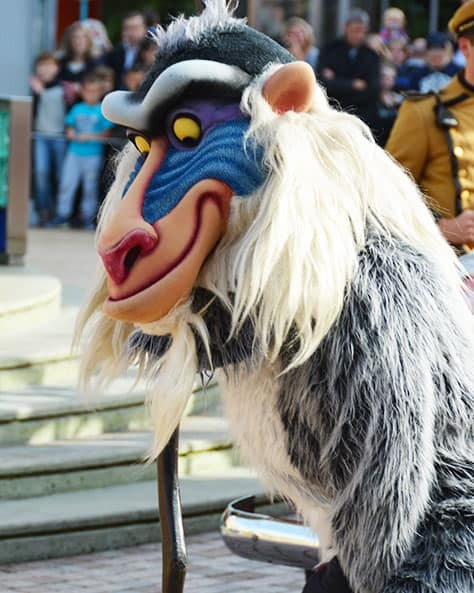 Between the 2 sets we participated in, we saw a number of Disney characters including Rafiki. 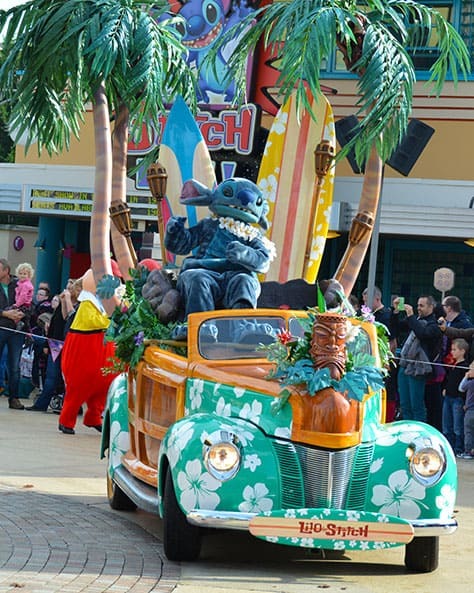 King Louie Stitch has his own special Hawaiian themed car. 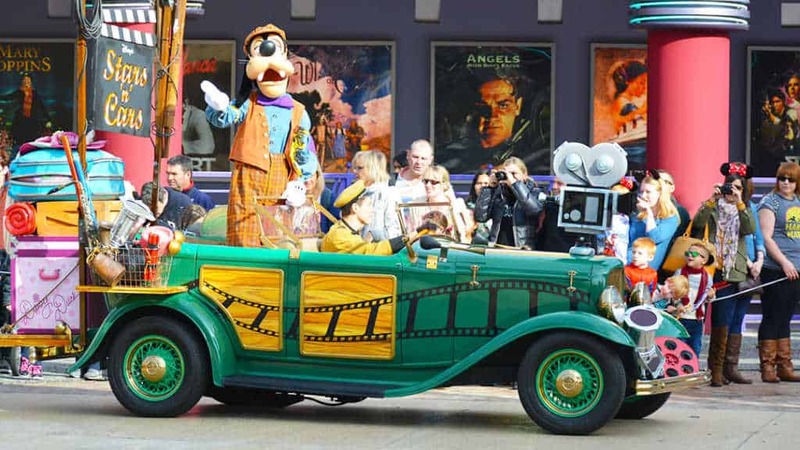 Goofy appears as a director with his themed car Tweedle Dee and Tweedle Dum were out meeting guests. Love these guys because they always ham it up. Jessie was ready for a shootout. 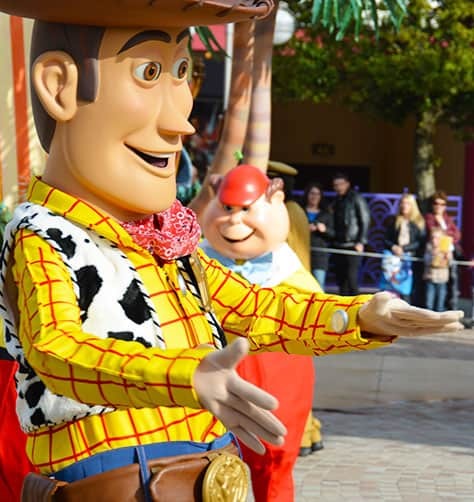 I think Woody was doing a Roundup to offer some crowd control. 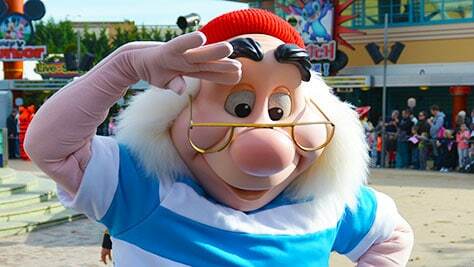 Mr. Smee stopped for a meet in the second set. 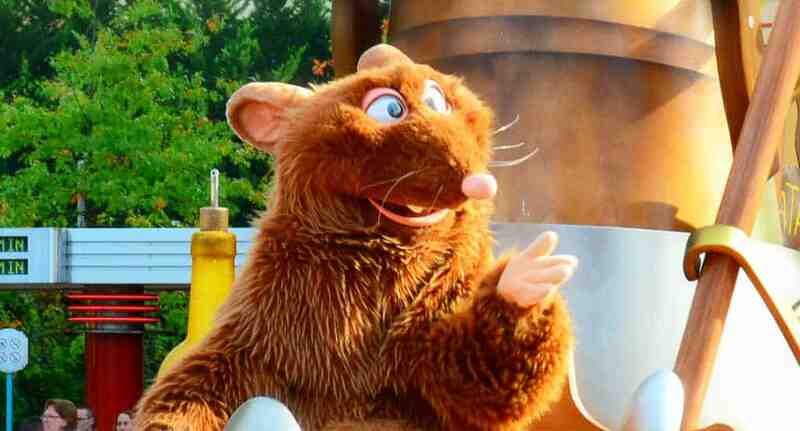 My little girl’s favorite character. 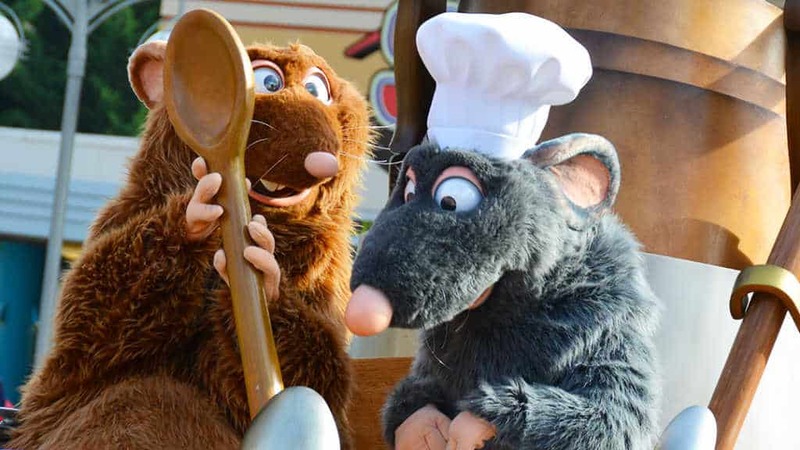 So it’s the second set and we hoped Chef Remy would begin meeting where he left off the first time which would give us a decent chance of meeting him. He headed for an area a little farther away. As he finally began to approach the area people attempted to shove their child or autograph book in front of us. I’m not exaggerating that kids were trying to squeeze between our legs while the parents encouraged the behavior. Rob became pretty frustrated with it and told them to knock it off in like 4 languages. The Cast Member said time was about to expire and I was watching Remy basically just do autographs like it was a Paparazzi festival. I shouted, “Hey Remy, I came from the United States just to get a photo with you.” He liked that I would give his hand a reprieve and headed my way. Got it! Finally got to meet Remy. We had bruises on our legs for several days, but I accomplished a goal. May seem crazy to some, but it was something I wanted to do. Remy then enjoyed posing for some photos instead of all the book signing. 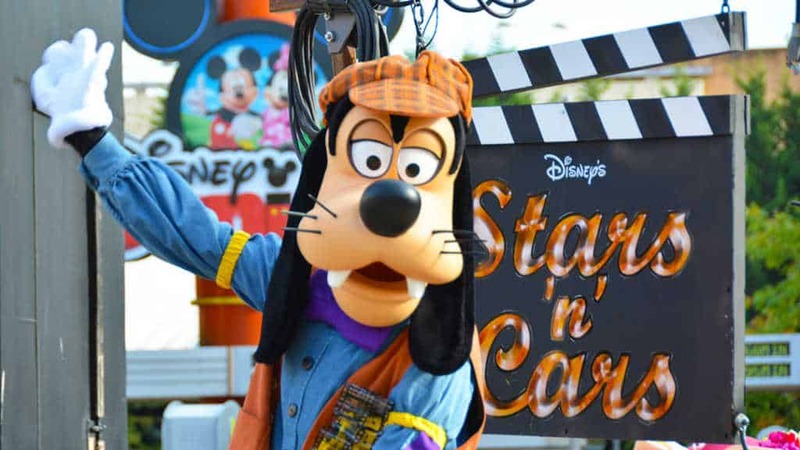 The Cast Member called time and off they went. I wanted to meet Emile as well, but really didn’t want to spend all my time there and not be assured of meeting him. I also didn’t want any more bruises. 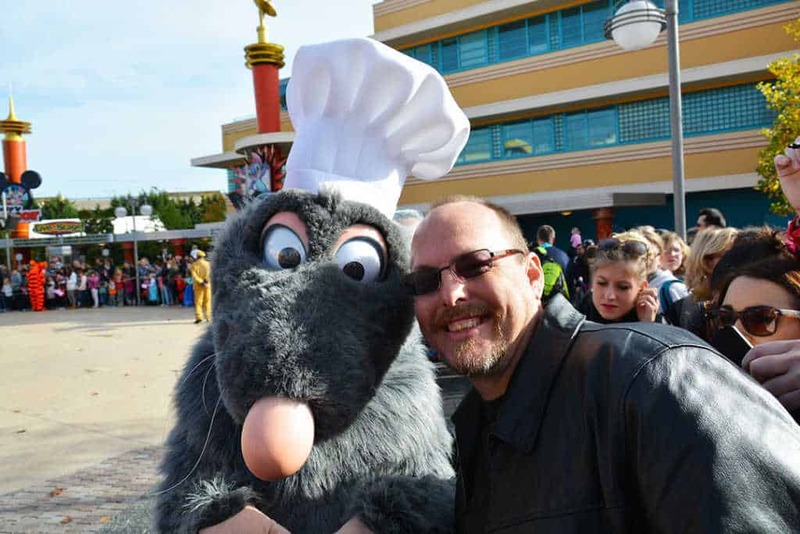 I was glad to meet Remy, but nothing can describe these kinds of meet n greets in Paris. 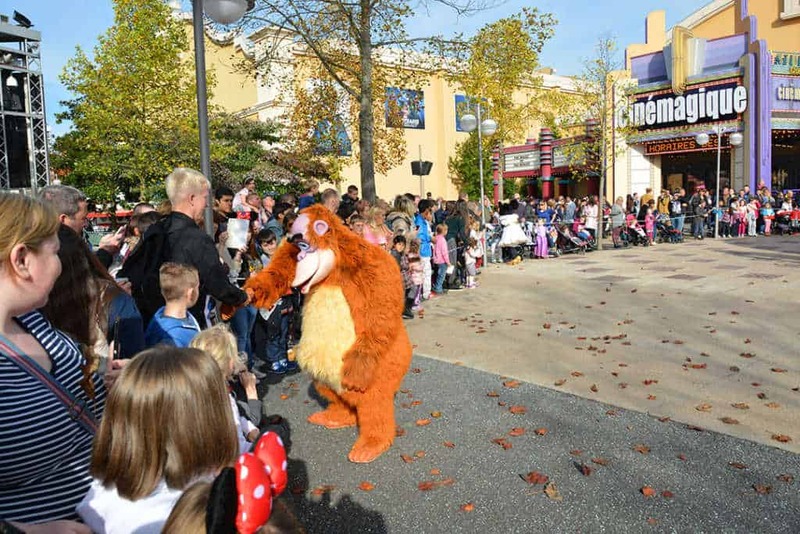 Nothing like a good Disneyland Paris character meet! If you dont mind getting bruises like you say! Did you try and use the Disney buses there at all? It’s so crazy you have to laugh! Thanks! Is the characters in the Magic Of Disney Animation building still: Hiro and Baymax, Mickey Mouse, Minnie Mouse? If so who or who will be in the spot of Mr. Incredible and Frozone? Thanks for all the great information! 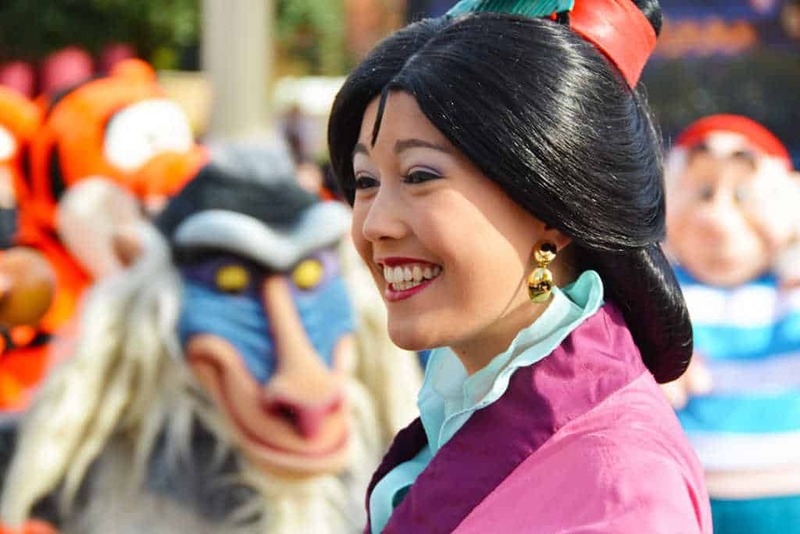 Is there any update on character palooza, we will be there the end of july, Where, When? 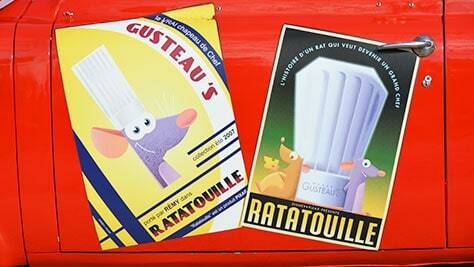 And do you by any chance know which characters are or will be in the Magic Of Disney Animation Building. 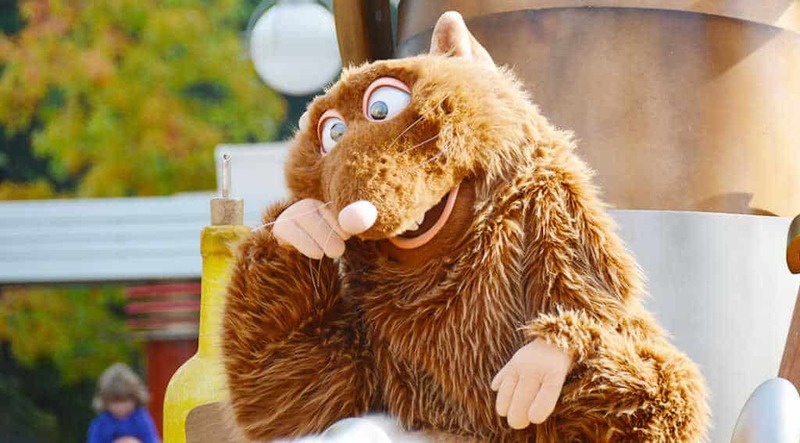 Just got back from Disneyland Paris and the characters were out without a CM handler and there was no line, just a mosh pit surrounding the character–the pushiest guest got the picture and autograph. Congrats on your Remy score, Kenny. I wrote once to complain about a CM’s behaviour. I was told that characters are only for the children !! 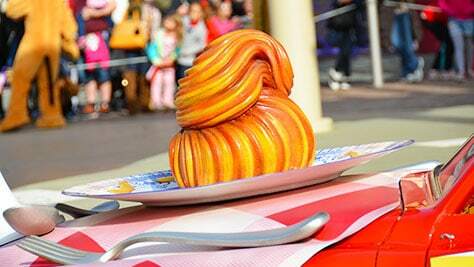 It is the one thing that I hate at DLP. Why oh Why can’t they be organised. A child will be hurt badly before the do anything. I thought Walt started this stuff for families to have fun together? That’s how it is always with all characters. We didn’t know better, till we came in Disney World. 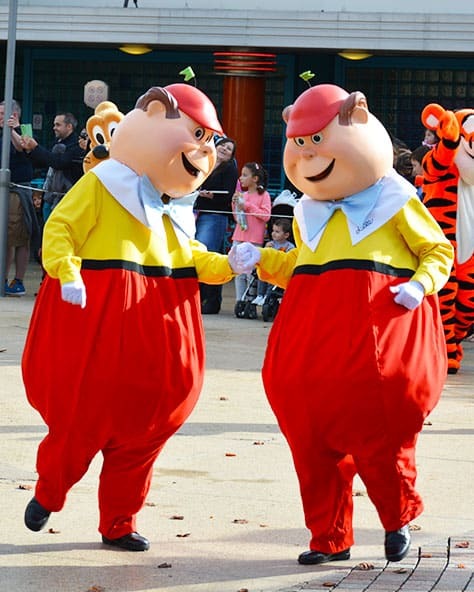 I don’t understand why they don’t train there castmembers to organize it. And it are the Spanish who do it the most, but everybody follows. It’s the same with the parades. You have to stand in time, they come late push their children in front of you and then follow their kids and if you let them you stand behind everyone before you know. The last time we were in Paris we had luck at the EMH then the characters had a spot and a line and the cm’s did a good job. Over a month the stars and cars tour is over finally. I did this a lot of times and is always a disaster. The people can’t wait, always pushing. when you take pictures there are some books on it. I hope there will be a beter way to meet caracters soon. It sure is. 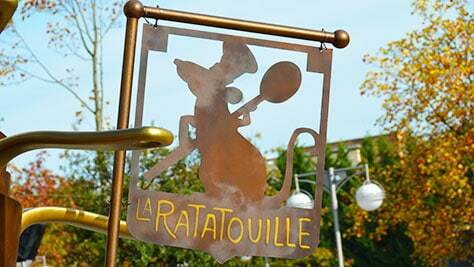 I went there once, the French people don,t how to queue. 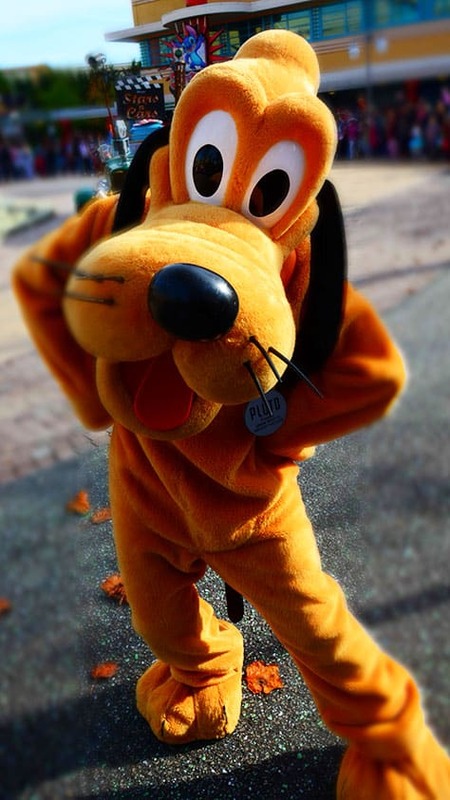 I was talking to a lady who had her daughter with her, she told me that they queued up to see Pluto, when they got to the front of the queue, some people pushed in. They are crazy! We finally made a plan. My husband and one child get on one side of the circle and I stand opposite with another child. I have never seen so much pushing and shoving. I actually heard a character tell a parent that they would not be able to sign their child’s because they pushed.. It helped that it was malicifient and she stayed in character the whole time! 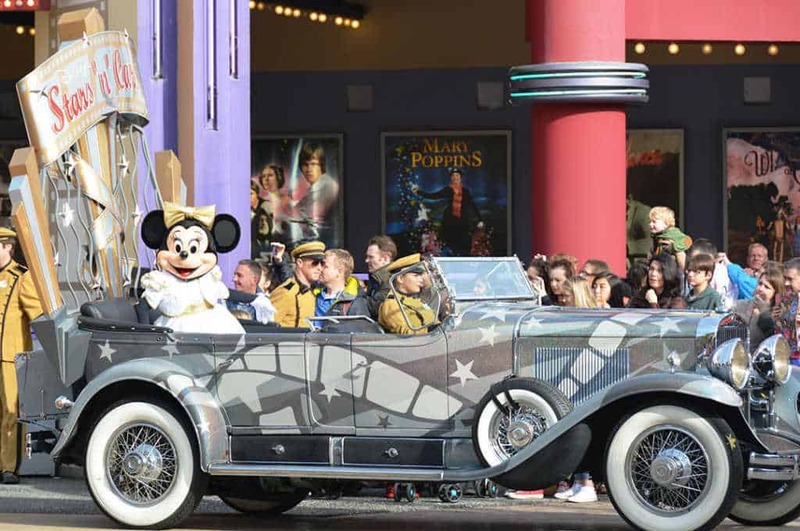 On our last Paris visit the stars and cars got cancelled twice! Nothing like planning a day and having it not happen.